Poets, philosophers and artists have been trying to explain romantic love for centuries, but it remains one of the most complex and intimidating terrains to navigate. Most people are afraid to be open and honest about their relationships - until now. For Love Factually, Laura Mucha has interviewed hundreds of strangers, from the ages of 8 to 95 in more than 40 countries, asking them to share their most personal stories, feelings and insights about love. These intimate and illuminating conversations raised important questions, such as: - How does your upbringing influence your relationships?- Does love at first sight exist? 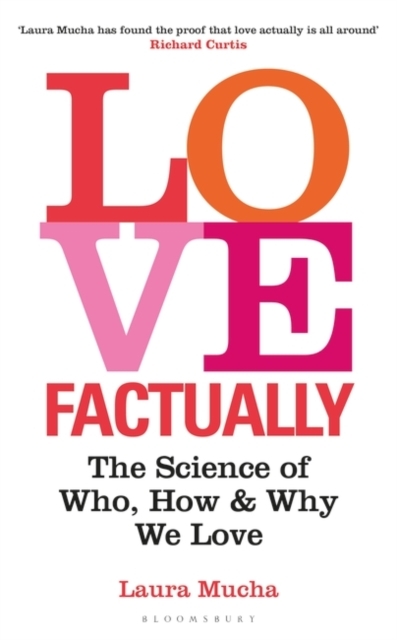 Should you 'just know'?- What should you look for in a partner?- Is monogamy natural?- Why do people cheat?- How do you know when it's time to walk away?Drawing on psychology, philosophy, anthropology and statistics, Love Factually combines evidence, theory and everyday experience and is the perfect read for anyone who is curious about how we think, feel and behave when it comes to love.